Unlock Your Microsoft Phone in just few minutes! Choose your Microsoft phone by selecting or searching from the drop down list. If you can't find your Microsoft model contact us. 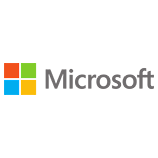 As a technology giant for over 40 years, it’s no surprise that Microsoft smartphones are popular among users who want to experience the design and operating expertise of a household name in their handheld device. Microsoft’s share of the smartphone market continues to grow (helped in part by its partnership with Nokia), and the most popular devices at the moment include the Microsoft Lumia 640 XL, the Nokia Lumia 930, the Nokia Lumia 1520 and the Microsoft Lumia 640. It might seem like a difficult task, but the truth is that unlocking your phone is incredibly easy with our service. We’ve been unlocking phones for almost a decade, so it’s safe to say we have the knowledge to unlock any smartphone in just a few hours. If you want to change carrier, this is the service for you! To unlock your phone, firstly you’ll need your IMEI code, which is a unique identifier for your device. Your IMEI number can be located underneath your mobile battery, or by entering *#06# on your keypad. Once you’ve located your IMEI, you’ll need to make a note of it – we’ll need it later to ascertain your SIM unlock code. What is a SIM unlock code? A SIM unlock code is essentially freedom for your phone. Once you have a SIM unlock code, all you need to do is remove your current SIM and replace it with a SIM from your desired carrier – when prompted for your unlock code, simply enter it your phone will be unlocked!